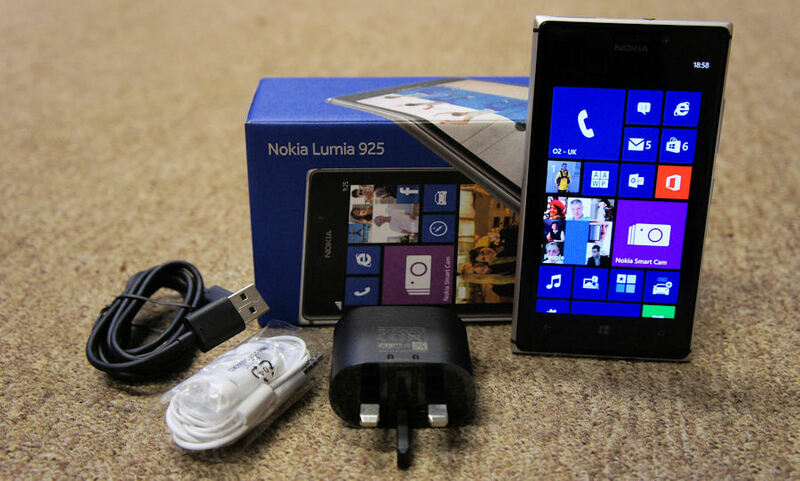 Just under a month after it was announced, the Nokia Lumia 925 goes on sale this week. Sales start in a number of European countries (Germany, UK, and Italy) with the US and China expected to follow shortly afterwards. The SIM free price, before taxes and subsidies, is €469 SIM-free, which translates to a UK high street price of approximately £475, but initially the devices will only be widely available through operators (from free on the £33-£37 two year contract tier). We're kicking off our coverage of the latest Lumia with a video introduction and unboxing. Nokia's latest Lumia device can be most accurately described as a mid-cycle design update to the Nokia Lumia 920. While there are a number of notable specification improvements and component changes, most interest will inevitably fall on the new design and the reduction in size and weight when compared to the Lumia 920. Both the Nokia Lumia 920 and 925 will continue to be sold, and, in some cases, will co-exist on the same shop shelves, there's little doubt that the Lumia 925 should be seen as the new Lumia flagship, and is therefore emblematic of Nokia's whole smartphone portfolio and strategy. With Nokia looking to grow its Windows Phone shipments towards the 10 million a quarter mark in the second half of the year, there's a lot riding on the perception and reception of this device, even if the greatest Windows volume will continue to be driven by devices lower down the portfolio, such as the Nokia Lumia 520 and 720. The Lumia 925 is also the first device to ship with Windows Phone GDR2 and the Lumia Amber software update, so it offers the first opportunity for us to assess the latest updates to the Windows Phone platform. We'll be covering the hardware, design, and software topics related to the Nokia Lumia 925 in a variety of reviews and features, but to kick off our coverage we're starting with a video introduction to the Nokia Lumia 925, which covers the in box contents, a visual tour of the key hardware and design features, and a brief size and weight comparison with the Nokia Lumia 920. Let us know by email, or in the comment thread, if there's an area you would like to know more about.